The video above is from last fall, leading up to the vote on Ballot Measure 1 in Alaska, which failed. However, the video offers some great information about just who opposes Pebble Mine and who is funding the propaganda war to get the mine built. 1. What Are We Doing to Our Public Lands and Waters? The main idea behind American Exceptionalism is that we, almost uniquely on this planet, chose to make those and other freedoms a part of our national identity, and then we fought to make sure we created them, restored them, and kept them—even in times when they were attacked or put at risk by the very unexceptional human forces of greed, indifference, and scorn. We made exceptional choices, set exceptional goals, and we accomplished our goals with exceptional energy and tenacity. Lately, though, I’ve been wondering: At what point did we American hunters and fishermen lose the stomach for this fight? At what point did we decide that being exceptional was simply took too much work? 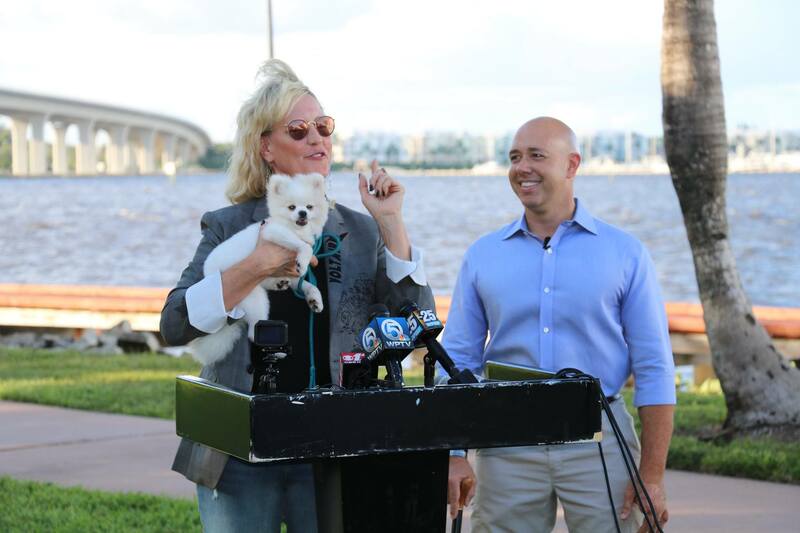 Congressman Brian Mast (right) announces his new legislation. According to Mast, scientists have found long term effects of toxic algae can cause ALS and Alzheimer’s, so the public deserves to know when they are exposed to such risks. Mast believes that holding the Army Corps accountable to the public will end up improving the health of the St. Lucie and Caloosahatchee waterways. A great story in the Upstate New York Leader-Herald describes the efforts by Trout Power–an organization whose mission is to “educate & inspire people to steward our rivers and streams; honoring clean water not by its clarity, but by the wild trout that live in it–to find “heritage” or historically native strains of the brook trout in the Adirondacks.